Want information about prepping for winter sports? Fall River, MA – Are you gearing up for winter sports, such as skiing, snowboarding, hockey, or running so that you can avoid injury? If so, join Chad Beattie, MD, primary care sports medicine specialist, at "Winter Sports 101: Common Injuries and How to Prevent Them," a free program sponsored by Saint Anne’s Hospital’s Center for Orthopedic Excellence, on Thursday, November 19, from 6-7:30 p.m..
Part of Saint Anne's Hospital's "Keeping You in Motion" community education series, the following programs will be held from 6-7:30 p.m. at the Wamsutta Club, 427 County St., New Bedford. Dr. Beattie, who also is director of Hawthorn Medical Associates Comprehensive Concussion Clinic, will discuss tips for conditioning and strengthening to avoid injury and what to do in the event of concussion or other injuries. If you enjoy winter sports such as skiing, snowboarding, hockey, or even winter running, this program is for you! 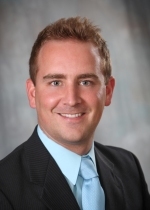 About Dr. Chad Beattie: Dr. Beattie earned his medical degree at St. George’s University School of Medicine. He completed his residency in family medicine and a fellowship in sports medicine/family medicine at the University of Massachusetts Medical Center, Worcester. To register for this programs: There is no charge , but advance registration is encouraged. Light refreshments will be served. To register, call Steward DoctorFinder, 800-488-5959. Saint Anne’s Center for Orthopedic Excellence provides comprehensive orthopedic care for all members of the family. With more than 20 orthopedic surgeons specializing in general orthopedics and subspecialties at the center’s locations in Fall River, Dartmouth and Attleboro, Saint Anne’s is the fastest-growing orthopedic program, with more than 5,000 procedures performed annually. It was the first hospital in Massachusetts to offer MAKOplasty robotic-assisted technology for partial knee resurfacing and total hip replacement and continues to offer a growing range of options in non-surgical and surgical orthopedic care and sports medicine. The center has been recognized consistently since 2011 by Blue Cross Blue Shield as a Blue Distinction Center for Knee and Hip Replacement and is the first hospital in Bristol County to earn Gold Seal certification from The Joint Commission for knee and hip replacement.